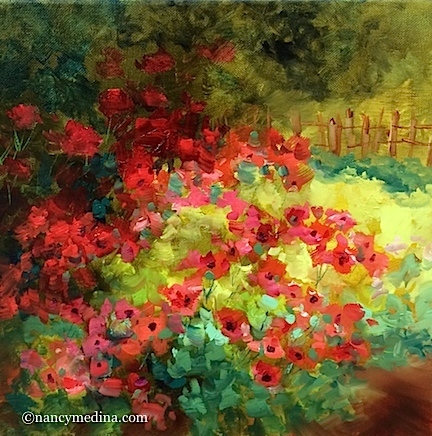 When In France Poppy Field is the daily newbie in Flower Mound Studio. While I was trying to memorize the correct pronounciation for "May I have more red wine please and pronto...", British Airways sent us a countdown clock to check in this evening. Included in their email were destination sights and suggestions, weather guides (it's low 80s during the day, high 50s at night! ), and all sorts of ideas for ways we can spend our one day in Toulouse before heading to Frayssinet. I am most surely taking more than I need to as far as clothes, but layering does call for everything from tank tops to raincoats and sweaters. The hubby is quite happy with the fact that he's taking two tiny carry-ons, and backpacking all our electronics to boot. The last time I flew to the UK, I was on my way to study at King's College Chelsea for the summer in London. The campus was over 500 years old, and there were no computers in the classrooms. There was one "photocopy machine" but it was kept under lock and key, guarded as a most precious and revered possession. We wrote all of our papers long-hand, turning them in with the fervent hope that they were not lost, since there would be absolutely no proof they had ever been completed should this occur. Looking back, I realize this was as much a vacation getaway for the instructors as it was for the students, and I suspect the grades were rather lenient as a result. Shopping in Harrods during their annual sale, and excursions to Cambridge and Stonehenge, and all the major art museums, were some of the highlights of time that went by so very quickly there. I'll share as much as I can with you over the next few weeks from France, if the wifi cooperates, so stay tuned here to the art bloggy for all the flower news that's fit to paint!